As anyone who has attended a Joe Wolter clinic knows, he’s not one to boast. He might share a story or two, but he’s not about to brag about his accomplishments. “I’m just a regular cowboy who had some help along the way,” says Joe. 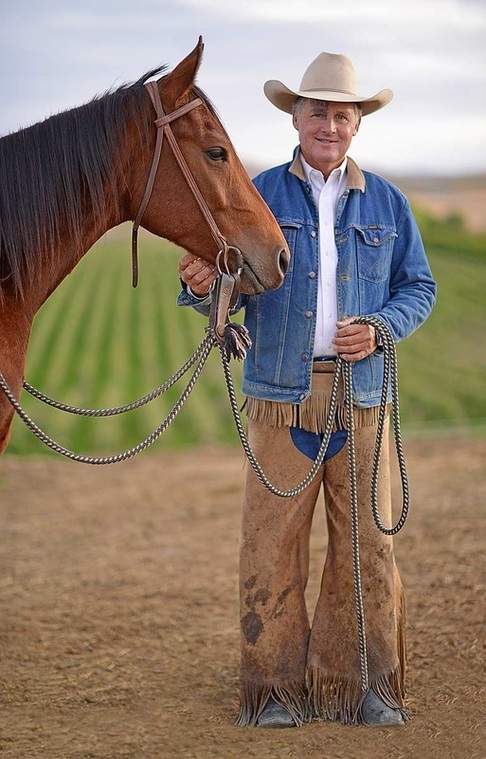 Although he grew up around horses, and at nine years old was working on a thoroughbred farm where he handled studs and mares and rode jumpers, Joe’s cowboying career didn’t start until he finished high school and headed to Nevada. He worked on several ranches before landing at the Soldier Meadows Ranch where the cow boss was a man named Ray Hunt. After working for Ray off and on for a number of years and starting colts with him all over the West, Joe took a job on a ranch in Salinas, California. There he became friends with Bill Dorrance and together they began conducting some of the earliest ranch roping clinics. The video “There’s Roping to Do” came out of Joe’s time with Bill Dorrance, which also included frequent learning opportunities with Bill’s brother, Tom Dorrance. Always looking to broaden his knowledge and understanding of horses, Joe moved to wife Jimmie’s home state of Texas in the mid 1990’s. He started colts for Lindy Burch at the Oxbow Ranch and later went to work for the Four Sixes Ranch, training and showing replacement fillies and stallions. In 2002 he won the inaugural AQHA Versatility Ranch Horse competition at Fort Worth Stock Show and then went on to more Ranch Horse and Cutting wins over the next several years. Today Joe continues to compete in Ranch Roping and other events as his clinic schedule allows. He and Jimmie now divide their time between their home place in Aspermont, Texas and a modest summer facility outside of Ballantine, Montana.